MARLBOROUGH, MA--(Marketwired - Mar 3, 2016) - BRIDGE Energy Group announced today that Info Security Products Guide, the industry's leading information security research and advisory guide, has selected BRIDGE's North American Electric Reliability Corporation, Critical Infrastructure Protection (NERC CIP) v5 Health Check as a Gold winner of the 12th Annual 2016 Global Excellence Awards in the FERC/NERC CIP Compliance category. The company was recognized for its unique service that enables utility organizations to establish and maintain v5 compliance for stronger cybersecurity to protect enterprises and substations from cyber attacks - better protecting the North American bulk electric system while saving money and improving operational performance. "Identifying, deploying and securing all the necessary hardware, software and processes to meet NERC CIP v5/v6 standards is a daunting task," said Richard Jones, VP of Grid Security. "BRIDGE Energy Group's NERC CIP v5 Health Check was specifically developed to streamline this process while helping to align internal and external stakeholders to reduce overall costs for achieving and maintaining compliance and security. 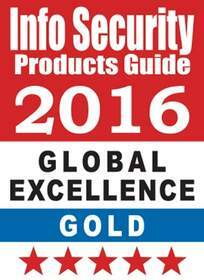 We are humbled Info Security Products Guide has validated our offering with this prestigious award." To improve your company's operational performance with grid reliability, transformation, security and management expertise, contact BRIDGE Energy Group at 1.888.351.8999 or via email: info@BridgeEnergyGroup.com. BRIDGE Energy Group is the leading consulting and systems integration company focused on improving utility operational performance. BRIDGE combines business, OT and IT domain expertise to deliver and optimize innovative grid operations solutions. BRIDGE's capabilities and expert services enable engagement at any stage in the lifecycle, from strategy & regulatory to implementation & optimization. Founded in 2004, BRIDGE is headquartered in Marlborough, MA. For more information on BRIDGE, please contact 888-351-8999 or visit www.BridgeEnergyGroup.com.